With an extensive collection of classically-influenced architecture, downtown Portland is also the city’s architectural heart and soul. This tour examines the downtown “temples of commerce,” many of which are clad with beautiful glazed terra cotta, a building material that was at its height of popularity in the early 20th century. 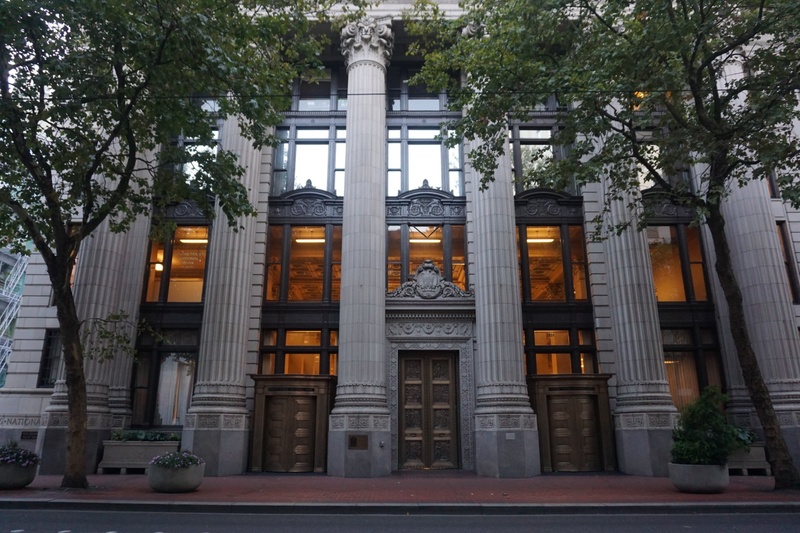 Along the way you’ll see the city’s first “skyscraper,” a bank resembling a classical Greek temple, and you’ll learn about the prominent 20th century architects who left an indelible impression on Portland, including A.E. Doyle and the Reid Brothers from San Francisco. Image: U.S. National Bank, Architectural Heritage Center photo.